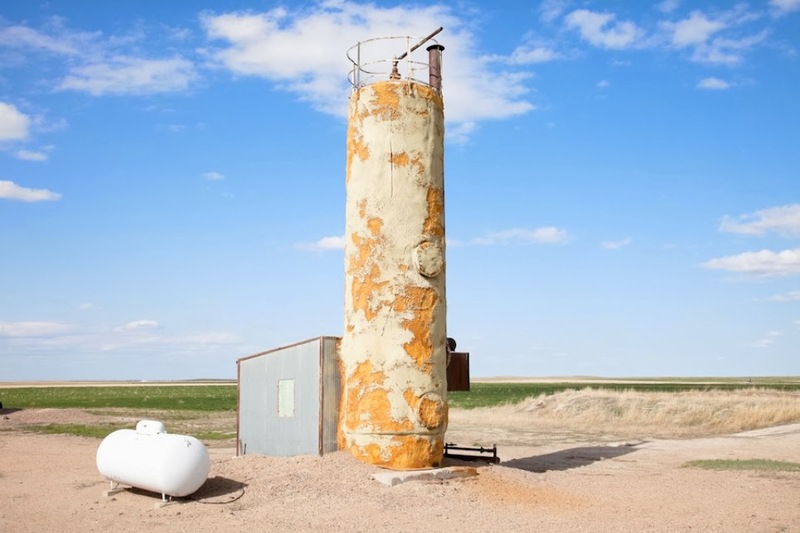 photo-eye Gallery Opening Friday at photo-eye Gallery: Kevin O’Connell’s Conventional Entropy photo-eye Gallery is pleased to announce an exhibition of photographs by Denver-based photographer Kevin O’Connell from his series Conventional Entropy. 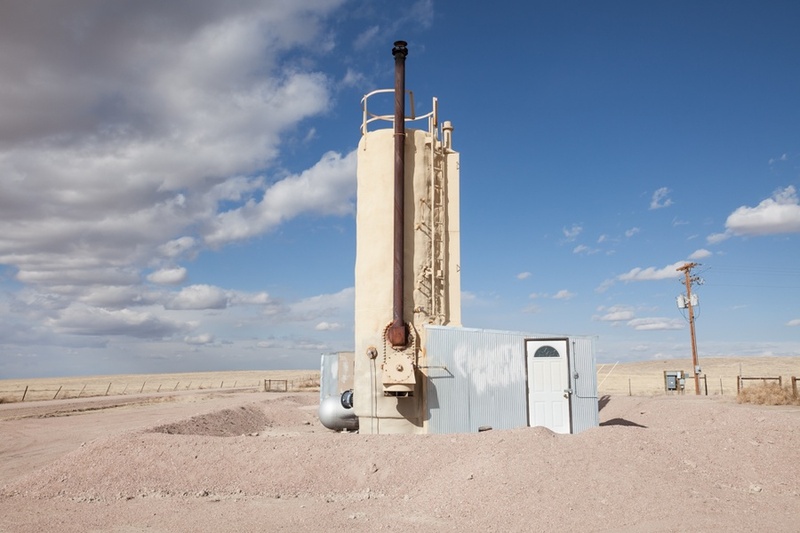 O’Connell’s photographs depict pipelines, pumps, tanks and towers used to extract energy from the natural landscape. However, the machines succumb to the natural world and the massive structures stand as monuments to entropy itself. Exhibition runs Friday, February 7th through March 29th, 2014.
photo-eye Gallery is pleased to announce an exhibition of photographs by Denver-based photographer Kevin O’Connell from his series Conventional Entropy. O’Connell’s photographs depict pipelines, pumps, tanks and towers used to extract energy from the natural landscape. However, the machines succumb to the natural world and the massive structures stand as monuments to entropy itself. O’Connell explores the topic of energy development and consumption and the proliferation of these machines unable to withstand the test of time. Riddled with paradox, O’Connell’s subtle and exquisite color photographs allow the viewer to consider the possibility of a landscape transformed by machinery in a constant state of decay. Born in 1958, Kevin O’Connell’s interest in the landscape began with several cross-country roadtrips between Denver and Chicago in the late 70s and early 80s. O’Connell’s photographic work focuses on the horizon while raising questions about the environment and energy development. He has exhibited his work extensively, including most recently at the Museum of Contemporary Art Denver. His work is held in numerous public and private collections including Los Angeles Museum of Contemporary Art, the Denver Art Museum, and the Museum of Fine Arts, Houston. The exhibition at photo-eye runs concurrent to Kevin O’Connell’s solo exhibition at the Marion Center for Photographic Arts, Everything Comes Broken, which runs January 21-May 17, 2014. Everything Comes Broken features video and photographic work by O’Connell with a focus on wind farms. The Marion Center is located on the Santa Fe University of Art and Design campus at 1600 Saint Michael’s Drive, Santa Fe, New Mexico, 87505. The artist reception is Thursday, February 6th from 5-7pm at the Marion Center.